For this week’s “Designer’s Pick” we've chosen to introduce a beautiful collection of ceramics designed by Picasso. Picasso loved the art of pottery, so much so that he named his son Claude after the patron saint of potters. 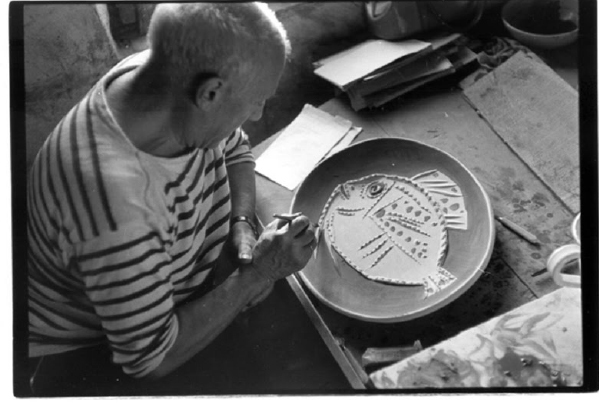 Taking up the craft as a means of experimenting with a new artistic medium, the design process was seen as a challenge and way for Picasso to express his artistic passion. He painted an array of pieces, from plates to vases, which were often built up by molding, gouging and framing the clay while it was still pliable. Stashed away, Picasso kept most of the works of art for his own private collection, which were later passed down to his heirs. For this reason, the ceramic pieces were often overlooked and undervalued. The collection has only started to gain popularity over the past twenty years, and today it consists of thousands of unique works. Take a look at a selected few pieces. 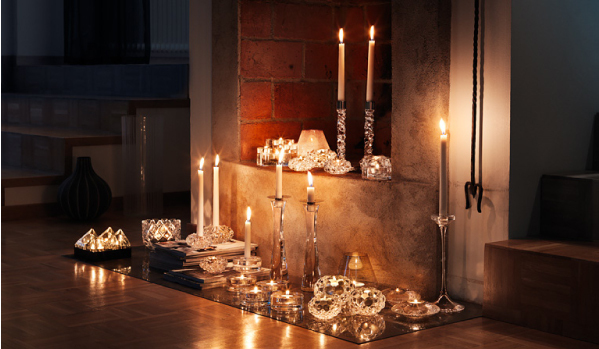 Why not add a touch of elegance to your decor by incorporating a stunning glass design from the Orrefors collection? 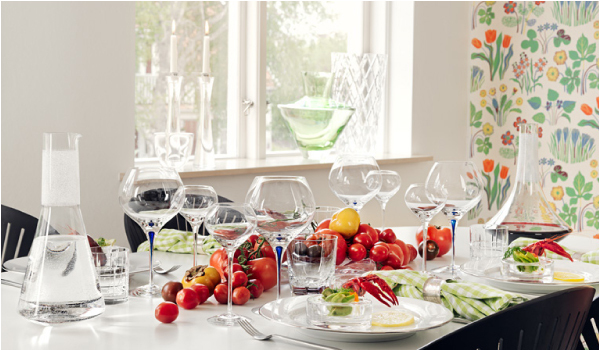 Showcasing the essence of classic Scandinavian beauty, these glassware assortments feature both utility glass and glass art, all made from polished crystal. 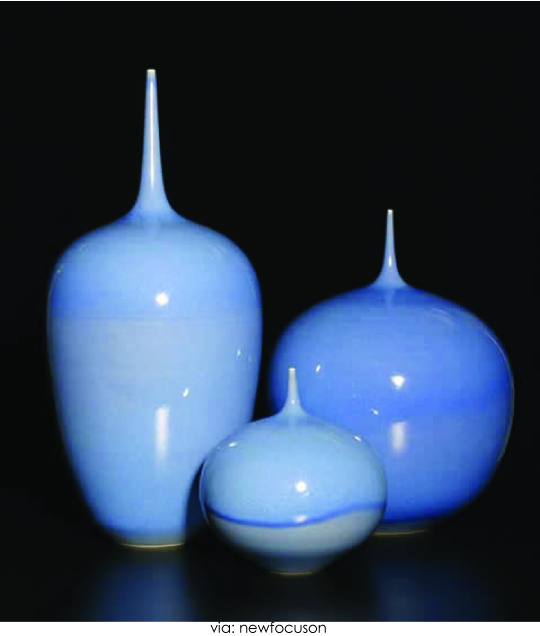 The history behind the collection dates back to 1898 where, in Smaland, Sweden, expert Orrefors glassmakers worked alongside some of the top designers in the area to perfect their craft while developing new and innovative techniques and designs. Today the Orrefors team is made up of five designers, each of whom works to interject their own creative vision into the timeless and well refined collections that Orrefors is known for. Look and be inspired by how the crystal glass adds a layer of sleek sophistication into each of these interior spaces. 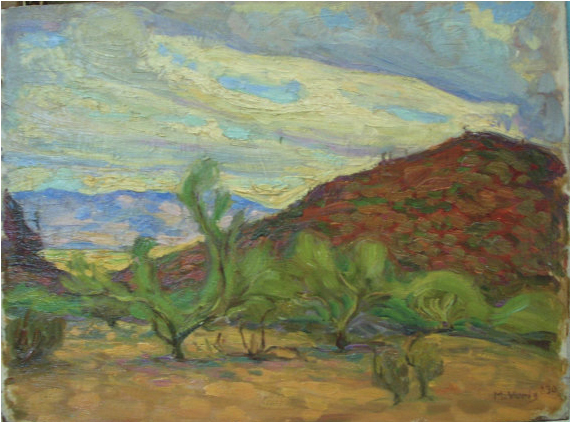 This beautifully painted landscape rendition showcasing the aura and richness of Tucson, Arizona is this week’s “Designer’s Pick.” I have not always been a fan of the western type of art, but the hand of Mark Voris captured my eye because of its unique “Van Goghesque” painting technique. An international artist born in Franklin, Indiana, Voris later moved to Arizona in 1925 where he attended the University. Soon after graduating, he started to display an interest in various artistic outlets including printing, photo engraving and advertising. Through trial and error, Voris became a self taught well respected artist. The above painting is one from his collection that was designed using an impasto technique, a process in which paint is thickly laid on the surface of the canvas leaving the knife and brush strokes visible and layered with texture. We’ve also included a few more pieces from his extensive collection that display the same layered painting technique that the artist has become so famous for. James Emil Bisttram, a native of Hungary, moved to New York City with his family at the age of eleven. Growing up as a commercial artist, Bisttram began to tailor his craft, creating a unique and identifiable style after years of studying successively at the National Academy of Design, Cooper Union, the Art Students League and the New York School of Fine and Applied Art. His works are a mix of dynamic symmetry and creative compositions reflective of the cosmic abstraction trends of the time heavily influenced by artist such as Picasso and Kandinksy. Each piece of art would make a beautiful addition in any home where classic art is treasured. Today we’re celebrating the refined beauty and craftsmanship found in the art of wood turning. 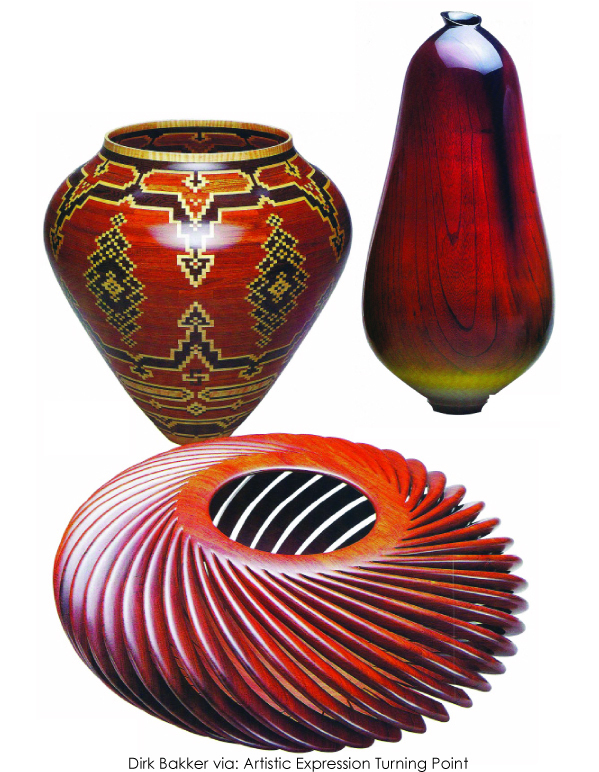 By using non-traditional techniques to reinvent traditionally styled designs, modern day artists gain the freedom and ability to express themselves creatively with wood, reinventing the material and creating an entirely new aesthetic. 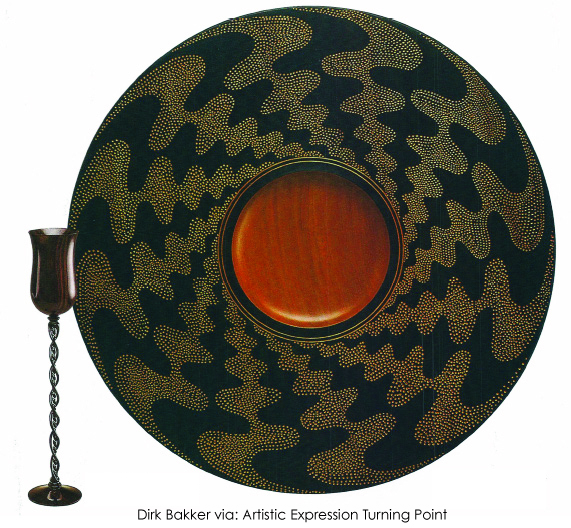 Featured below are innovative examples, all taken from Michigan collector Robert Bohlen’s personal selections, which were acquired during world travels. Each piece, skillfully made, was created not merely for function, but to stand-alone as a captivating piece of art.